Cover your hay from the elements with Hay Caps, perfect for all types of hay stacks, of all sizes. Farm machinery and New Holland Tractors and Balers, Polaris Quad bikes,Croplands Sprayers Connor Shea and John Shearer Seed Drills, Crendon Machinery Agri Fab, Daken Machinery, Used Tractors, Machinery and Quads,Spare Parts and Service. Southwest Hay Supplies are a family owned and operated business dedicated to growing and supplying quality irrigated hay from farms in the St George district of Southwest Queensland. We produce quality irrigated hay for your animals' nutritional needs. Rumenwork provides supplements to assist calves and cattle as well as feed improvers. Australian Machinery Wholesalers is an established wholesaler and supplier of trucks, plant and machinery in Australia, New Zealand and the Asia Pacific region. Barossa Machinery Services provide a range of used equipment including forklifts, field bins, chaser bins and combine harvesters. Hay Caps are a new and innovative way to cover stacks of hay. 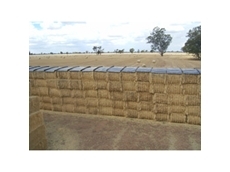 Made from food grade recycled plastic, Hay Caps are very quick, simple and effective to use and applied at ground level in less than a minute. Hicks machinery, sales of new and used farm equipment and machinery. Agents for Gason, Gyral and Liquid systems. Brisvegas Machinery is committed to supporting Positrack customers with the best possible advice, assistance, service and after sales support to ensure maximum value from their purchases.